Sporty’s, the world’s largest pilot shop, has been offering high quality aviation products and supplies for more than 50 years. Many of these products are designed in-house by our staff of pilots and tested in our flight school. Our experience as pilots, as educators, as airport managers, as aviation advocates–along with our many other endeavors–affords us a unique qualification to provide only the products and services that are the best value to our customers. You have the RIGHT to same-day shipping at no extra charge. You have the RIGHT to a flight test guarantee on the products you buy. You have the RIGHT to speak to a knowledgeable, cheerful customer service rep rather than pressing digits on your phone. You have the RIGHT to pay the lowest published price on all items, and we back that up with Sporty’s price guarantee. You have the RIGHT to expect quality products that have been pilot-tested and pilot-approved. Fly into the Clermont County/Sporty’s Airport (I69) just outside Cincinnati, Ohio, and visit our retail store – we’re right on the runway. We serve free hot dogs, Noon to 2 pm, every Saturday, all year long. You know us for our high quality products and our friendly service. What you might not know is that we operate a number of other businesses at our headquarters. This includes an avionics shop, flight school, FBO, charter service, and even a residential airpark. If it's aviation, we probably do it! The Sporty’s Foundation funds programs that work to educate young people on the excitement and life-enhancing potential of general aviation. To ensure maximum return on donor investments, 100 percent of The Sporty’s Foundation operating costs are underwritten by Sporty’s Pilot Shop. To date, we've donated over $1 million to worthy aviation causes. Sporty’s publishes three entertaining and informative online magazines, and they’re all free. 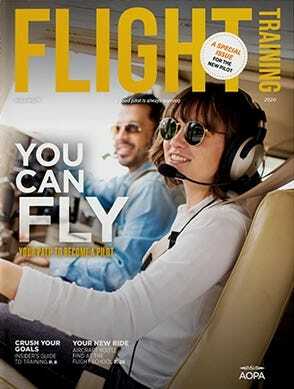 iPad Pilot News shares real world tips on flying with the iPad, plus app reviews how-to videos. Air Facts was first published in 1938, and today it still champions, educates, informs and entertains pilots worldwide. Student Pilot News is an all-in-one resource for new pilots, with a flight school database, video tips, and much more.